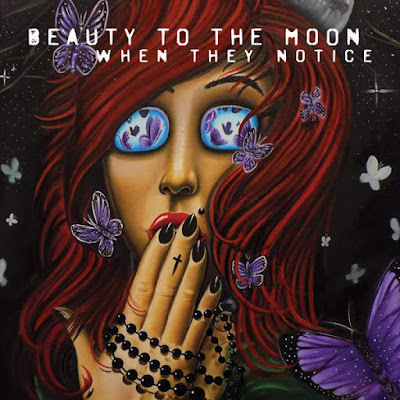 Beauty To The Moon, a hard rock band previously featured on this site featuring singer and songwriter Chris Perez, has FINALLY released their debut CD, "When They Notice", available at CD Baby and iTunes (as well as all other major digital music retailers). combined with great vocals and lyrics and an expected left turn during the bridge. The album is eclectic rock combined with solid musicianship and aggressive vocals. The core of the band, guitarist Michael Haddox and vocalist Chris Perez, have been writing music together since 2005. After spending a few years in a band called Westview (pop punk), they were disenchanted and had a lot of angst towards the music industry. When that band broke up, they formed Beauty to the Moon. This group was more sharp worded and aggressive sounding. The southern metal sound fit well with some of the national acts that were touring though their area which presented the opportunity to share the stage with bands like Gwar, Nonpoint, and Texas Hippie Coalition. 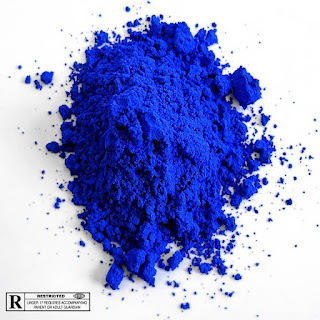 After a few years on the scene, the band disassembled due to differences of artistic direction, but Haddox and Perez kept writing and conceptualizing what would come next. In this time, they hooked up with bassist Andrew Musselman and his writing partner and drummer Seth Bailen, whom at that time were composing hip experimental jazz tunes in a group called Sol System known for their complex meter. These two musicians really expanded the sound that Chris and Mike were developing: ambient, progressive, and heavy sounding rock. The group played Sunfest in May 2013 and shortly after, started demoing what would become the album "When They Notice". Just before going into the studio in May, the band expanded to include guitarist Christian Davis, another member of the former band Sol System. Christian's extensive jazz and rock background was a perfect fit for the bands sound. The band is currently looking to reestablish its Florida fan base and begin regional and national tours to promote their new release. You can cop "When They Notice" HERE.